Formerly a senior engineer at Lockheed Martin, Dr. Robert Zubrin is the founder of Pioneer Astronautics, a space- exploration research and development firm. 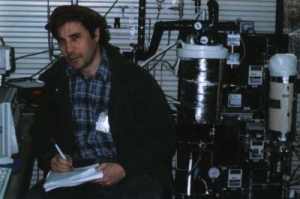 Currently chairman of the executive committee of the National Space Society, Dr. Zubrin is the author of more than one hundred articles on space propulsion and exploration, and is widely regarded as the nation's leading theorist of Mars travel. He lives with his family in Indian Hills, Colorado. Richard Wagner is the former editor of Ad Astra, the journal of the National Space Society. He lives in Northampton, Massachusetts.